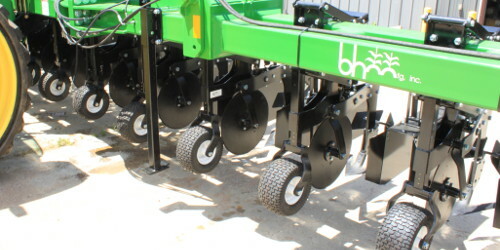 Custom built and configured for a weed control solution that works for you. 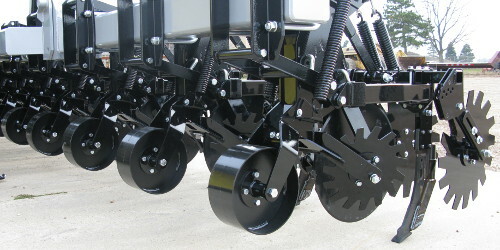 Equipment for precision fertilizer placement to help boost your yield. 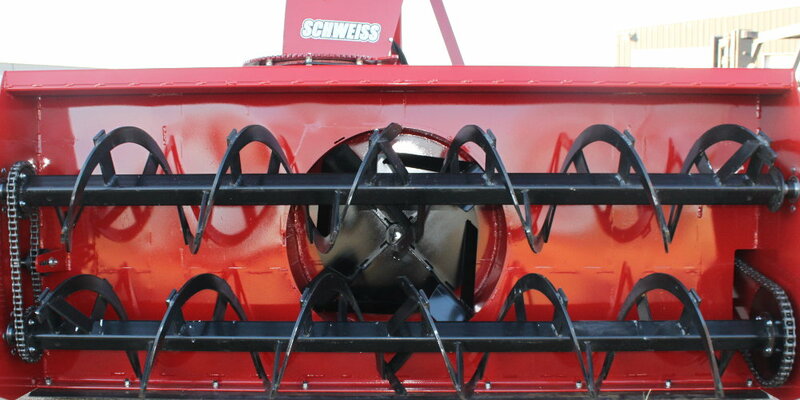 With our Schweiss snowblower, you'll go from snowed in to a cleared yard in no time. 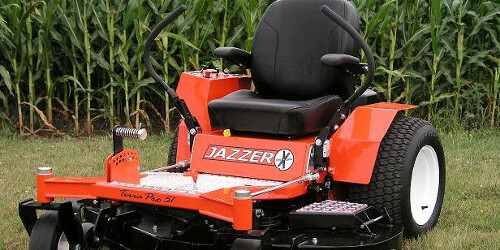 As the original manufacturer, we carry replacement parts for all Yard Shark, Jazzer, and Schweiss mowers. Our Products proudly manufactured in the USA. Our row crop cultivators have been helping farmers control weeds for over 20 years. Having been around that long, we have been able to fine tune our design to provide you with the most reliable method of weed control. Since the introduction of glyphosate resistant crops, many farmers have been fighting an uphill battle against the weeds which have become increasingly resistant to the herbicide, making their weed control tactics less effective, and requiring a significant increase in herbicide usage. This is not only making exclusive weed control via herbicide more difficult, but is also significantly increasing the cost to control these weeds. Meanwhile, many farmers have discovered the simple effectiveness and cost savings of a more traditional approach to weed control through the use of our row crop cultivators. While weeds continue to develop resistance to the herbicides being applied to them, they continue to be no match for our cultivators. We understand that each farmer runs their operation a little differently and are able to accomodate to the custom needs of each farmer. 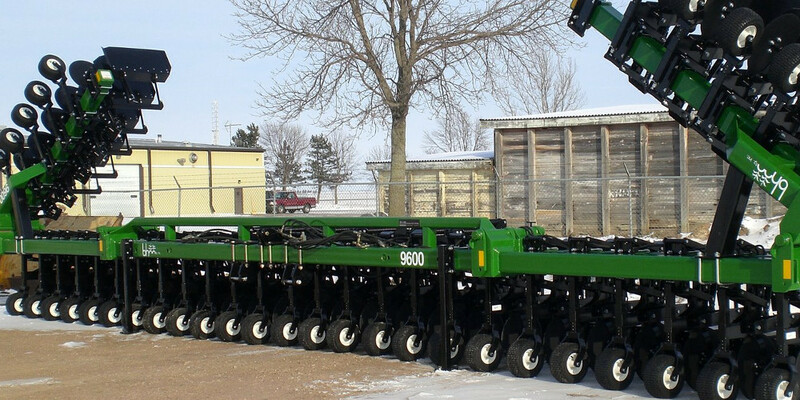 With a wide range of configurations to fit any farming operation's need, we have a solution that will work for you. Our strip till equipment is designed with efficiency in mind. With our Fortifier line of equipment, you will get more out of your fertilizing practices by placing the fertilizer where it can be most effective: near the roots of the crop. In addition to placing your fertilizer in it's optimal location, you will open the soil to the benefits of tillage and at the same time minimally disturb last season's residue, giving you some benefit of both no-till and conventional tillage strategies. Compared to conventional tillage, this typically results in an increased retention of carbon, nitrogen, and phosphorus. At the same time, minimally disturbing the residue from the previous years crop will significantly reduce erosion of your topsoil as well as help with weed suppression. 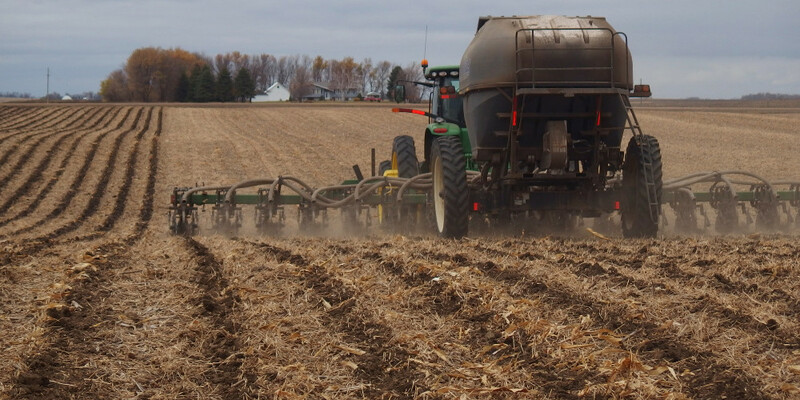 Finally, the amount of tillage done prepares for planting by allowing the soil to warm so you can get next year's crop in the ground earlier than no-till practices generally allow. Here at B&H manufacturing, we understand that the needs of each farmer varies as much as the land that they farm. That is why we work with each farmer's unique requirements and are able to produce equipment that meets the needs of each farmer for the land they farm. When it comes to keeping your yard clear of snow during the winter months, no amount of snow is too much for our Schweiss line of tractor mounted snowblowers. From a few inches to a few feet, nobody likes having to deal with a snowed in yard. So when it snows, there's nothing better than getting it taken care of quickly and easily. With our line of heavy-duty tractor mounted snowblowers, you will find yourself going from snowed in to all cleared in short order with remarkable ease. From our 8' double auger model, to the 9' triple auger, we have a range of options for you to choose from. 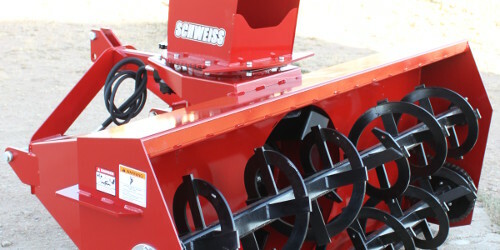 While we all hope for a mild winter, as an owner of one of our Schweiss snowblowers, you just might enjoy it so much that you start hoping for a blizzard. With our range of sizes and configurations, we have the perfect snowblower for you, so give us a call and let us match you with a snowblower that best fits your needs. 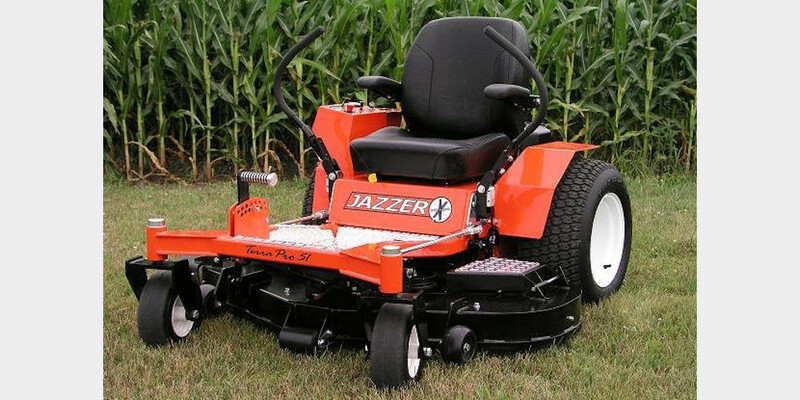 As the original manufacturer of the lines of Yard Shark, Jazzer, and Schweiss zero-turn mowers, we carry all replacement parts for those mowers. While we are no longer manufacturing any of these mowers, we have no plans to discontinue supporting and providing replacement parts for them.